In our Northern hemisphere winter is in full swing. It is the time of year when the common cold descends upon many of us! Before studying nutrition, I would have reached for paracetamol and other over the counter drugs aimed at cold and flu relief. However, I now understand the damaging effects they can have on the body, I prefer to use natural ways to boost the immune system. Paracetamol can be toxic to the liver and Ibuprofen can damage the gut lining. A 2011 study found that ibuprofen increases your risk of a heart attack. So, call me old-fashioned, but I would rather stick to some of the more traditional remedies! Increase your intake of Vitamin D. This is hard to find in food but comes mostly from exposure to the sun in the summer months. It is now become more widely recognised that Vitamin D is vital for our immune health and many illnesses are now being linked to a deficiency. Government guidelines recommend that we all supplement with this vitamin between October and March. It is a good idea to ask your doctor for a vitamin D test to check your levels as it can make a huge difference in the way that you feel and your ability to fight infection. This is free if you live in the UK however you do have to ask your GP for one. A good homemade chicken stock (bone broth) is packed with amino acids and essential minerals. It helps support a healthy gut, which optimises immune function. We must remember that 70% of our immune system is in our gut so it is really important to make sure our digestive system is working effectively to stop us from getting ill.
Chicken also contains an amino acid called cysteine which thins mucus in the lungs, helping to expel it. So the traditional cold cure of chicken soup really does work. Brightly coloured vegetables and fruit such as berries. These are high in antioxidants and other immune boosting phytonutrients. Try and eat at least 5 portions of different coloured vegetables and 2 of fruit a day. They contain natural chemicals that help us fight infection and all the different colours contain different special compounds so variety is important. Try making a stir-fry with lots of variety and colour. Use garlic and onion in your cooking. Both of these vegetables help boost immune function, they have antibacterial and antiviral properties from a compound they contain called allicin. Cooking them can reduce this active immune-boosting ingredient. So leave them to rest for 5 – 10 minutes after chopping and before cooking to help retain more allicin in your meal. Mushrooms are great immune boosters especially reishi & shiitake, they contain a compound called beta-glucans which help fight infection. Manuka Honey which is produced by bees that gather pollen from the Manuka bush in New Zealand. This honey is so potent it has been approved for use in medicine! It is antimicrobial and may also help to reduce mucus. Take it straight off the spoon for optimum effect, as adding hot water may harm its medicinal qualities. Stay hydrated. Drink lots of water, especially hot drinks which will help you sweat it out! Water is the key to flushing out the virus from your system so try and drink 250ml every two hours. Add a slice of lemon or/and a slice of ginger with some Manuka honey to warm water, these are rich in vitamin c and zinc helping fight your cold. Avoid milk, which increases mucous production. Stress suppresses immune function, so makes it that much harder to fight illness. Rest and take some time out, rather than battling through. Have a warm bath and an early night. Sleep is when our body heals and repairs, so it’s important to get enough! SUGAR because it decreases white blood cells that help fight off infection. Fruit juices — Although orange juice contains some vitamin C, it is not as high in vitamin C as whole fruits or vegetables, rather full of sugar! If you want to drink juice, dilute it. FAST FOOD contains ‘empty calories’ that have no nutrients for supporting your immune system and are toxic to the body. Processed grains — white bread, pasta, cereals, wheat products, and white flour products quickly turn into sugar and weaken immunity. The following recipe is packed with nutrients to help you fight those coughs and colds. So easy to make and lovely and warming when it is cold outside. You can make this soup in advance and keep in the fridge. Just reheat when you are ready to eat it. Fresh mint leaves or any pretty garnish such as pea shoots or watercress. To prepare the lentil topping add the cooked lentils or use a prepared pouch, put into a small pan and add the oil and zest and season to taste. Put to one side. For the soup, heat the oil in a large saucepan on a medium heat. Roughly chop the onion and garlic and add them to the pan along with the ginger and sauté for 10 minutes until the onion begins to soften. Add the broccoli and sauté for another 5 minutes. Add the stock and peas and season to taste. Bring to the boil and reduce the heat and simmer until the vegetables are tender about 5 minutes. Remove from the heat and stir through the coconut milk and the mint. Use a hand blender or other blender or processor and blend until smooth. Top with a sprinkling of lentils, pumpkin seeds and some fresh mint or other herbs. Emma is a registered Nutritional Therapist. 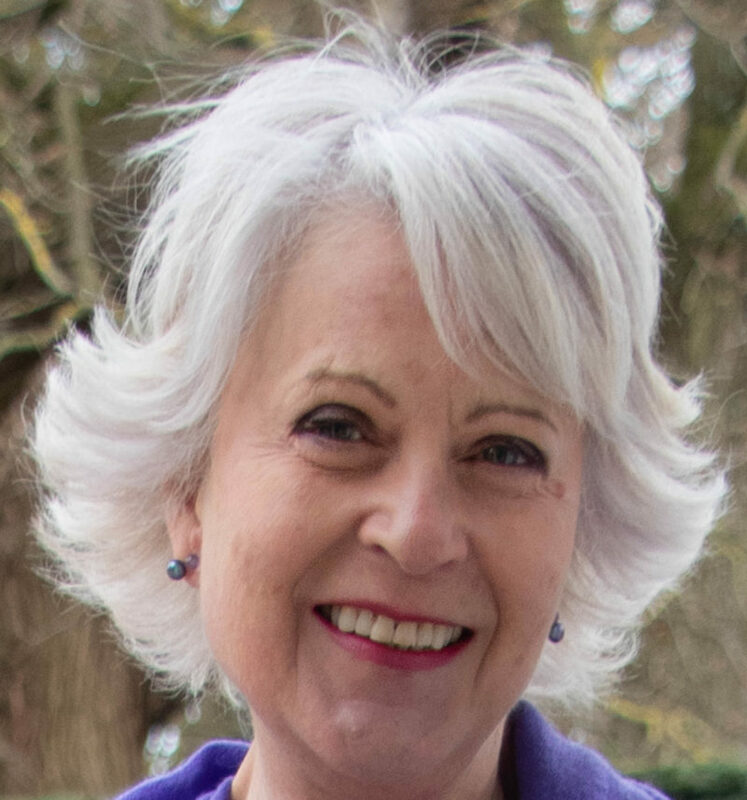 A member of BANT (British Association of Nutritional Therapists) and CNHC (the Complementary and Natural Healthcare Council). You can contact Emma at Emma Marshall Nutrition. You can also follow her on Instagram where she shares some of her delicious recipes. I am off to make my broccoli soup. I am off to make my broccoli soup. I find that my Cuisinart soup maker from John Lewis takes a lot of the hard work out of making soup. Disclaimer: We are not medical practitioners. If you have any health issues we would advise you to seek advice from your doctor. Have a great week-end. Back to fashion posts next week. Thank you so much for these tips! My mother always served us a chicken broth when we were ill and I still crave one when I had a cold. Who would have known that mother really was right! The recipy for the pea soup sounds delicious and as I do approx. once a week a soup I shall try that one next. Keep the tips and recipes coming, all most appreciated! Thank you for the nutritional advice, and the recipe for the soup, must try it , it sounds delicious. Thank you for sharing so much information. I was interested, too, to see why chicken soup works for colds. I’m looking through Emma’s Instagram page and see some good things, but I will start with the soup recipe above. I’ve never made anything with coconut milk, so curious to see how this goes. I do like coconut, so I’m sure I’ll like it. I like to use garlic and onion in many things and eat a lot of mushrooms, so I’m glad to know they are good for the immune system. I know I eat too much sugar, and know it’s not healthy, but didn’t realize it decreases white blood cells that fight infection. One more reason to cut back or stop. 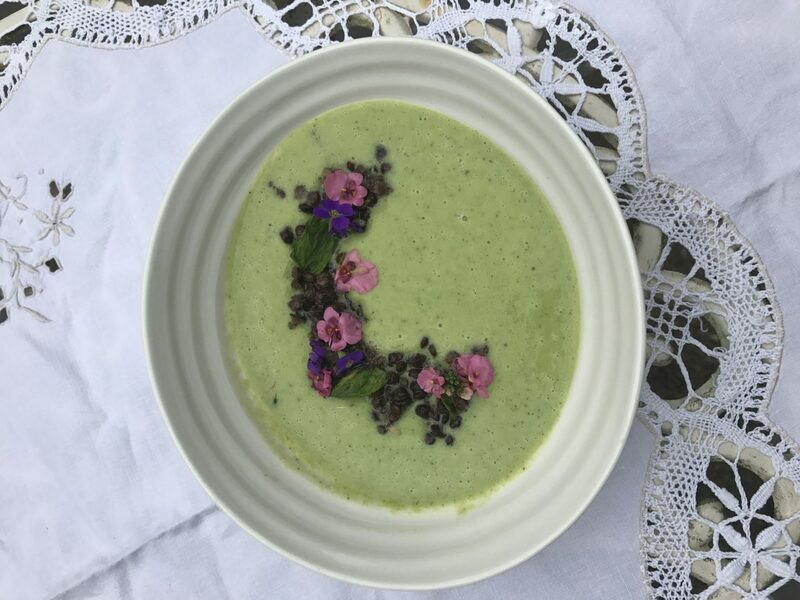 I made the ‘Zingy, Pea, Broccoli and Mint soup’ for lunch today and it was so delicious. Looking forward to more nutritional advice and healthy recipes. I made the soup too and I agree it was delicious. More nutrition advice coming end February.